Most of the people don’t know that tech giant Google also organizes some great events which bring programmers from round the world together. We are certainly not talking about the frequently organized Android development events where Google releases new iteration of its popular mobile operating system. This is called Google Code Jam, which is essentially a programming competition where professionals as well as students from round the world take part in order to solve some complex algorithmic challenges within a stipulated timeframe. Currently Google Code Jam is in its 13th year after the launch in 2003. This was started by the Google with an aim of identifying top engineering talents, which can play a huge part in the Google development as one of the iconic technology firm. Google Code Jam 2016 follows the same schedule wherein first of all interested programmers has to enroll through registering in the month of March. Then a Qualification Round is held in the month of April to segregate the best from the rest. This followed by a number of Online Rounds of either two hours thirty minutes to three hours. In this phase programmer grill their way through solving complex algorithmic challenges with a set time limit and their scored are calculated. Each year in the month of August Google organizes the Final event in which winners are announced and even offered a job right at its office. How tough is Google Code Jam? There was even a time when seven problems were not solved in their respective round. It is worth pointing out that no one in the history of Google Code Jam has managed to get perfect score in the finals. Google ensures that problems which are chosen for this event are effectively difficult and hard to crack but there has been an incident of fastest correct submission when Sergie Fedorov of Russia solved the problem within 2 minutes and 41 seconds. Google allows the participants to use any programming language as well as development environment of their choice to find the solution to the given problems. The only trick is that one has to come up with right solution within the giving time limit. It wouldn’t be possible to attract bright minds on a global without offering hefty prize money. Google Code Jam offers cash prizes to the successful participants. The winner of this event goes home with prize money of $15000 while second and a third placed winner gets $2000 and $1000 respectively. Consolation prize of $100 is given to all the participants who finish between 4 -26 places in this event. 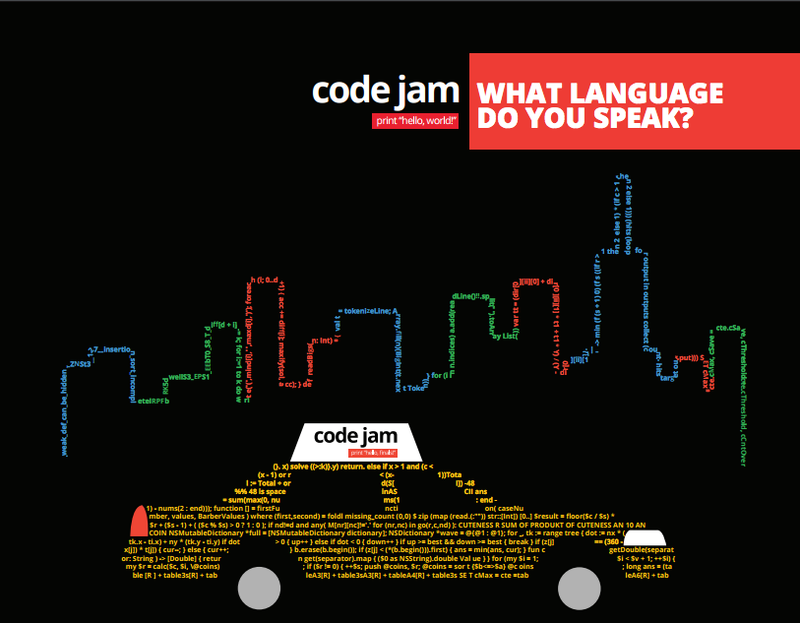 Participants also get one Code Jam T shirt if they finish among the top scoring 1000 from the Round 2. Google also offers extensive reimbursement of the expenses made by the participant on the travel, visa, flight, accommodations and meals during the Google Code Jam event.